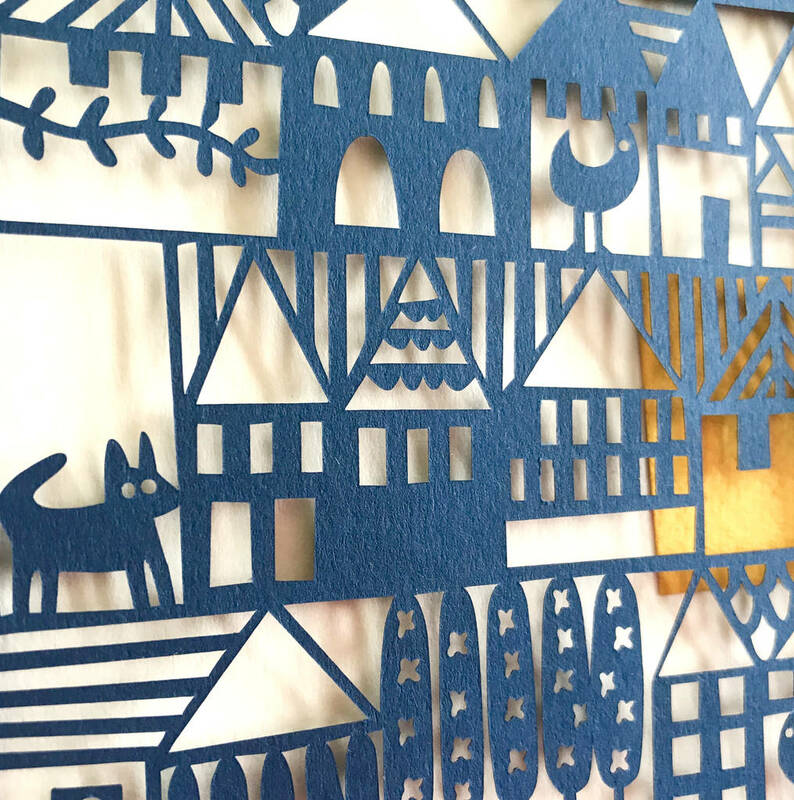 Rows and rows of houses on a hillside which make a lovely pattern, cut out of a single sheet of paper. 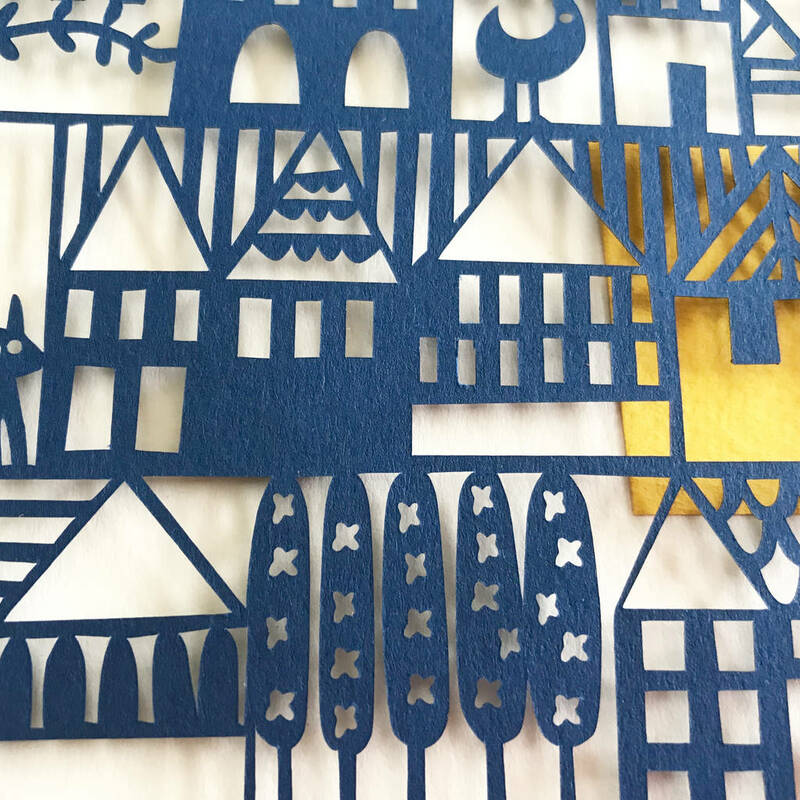 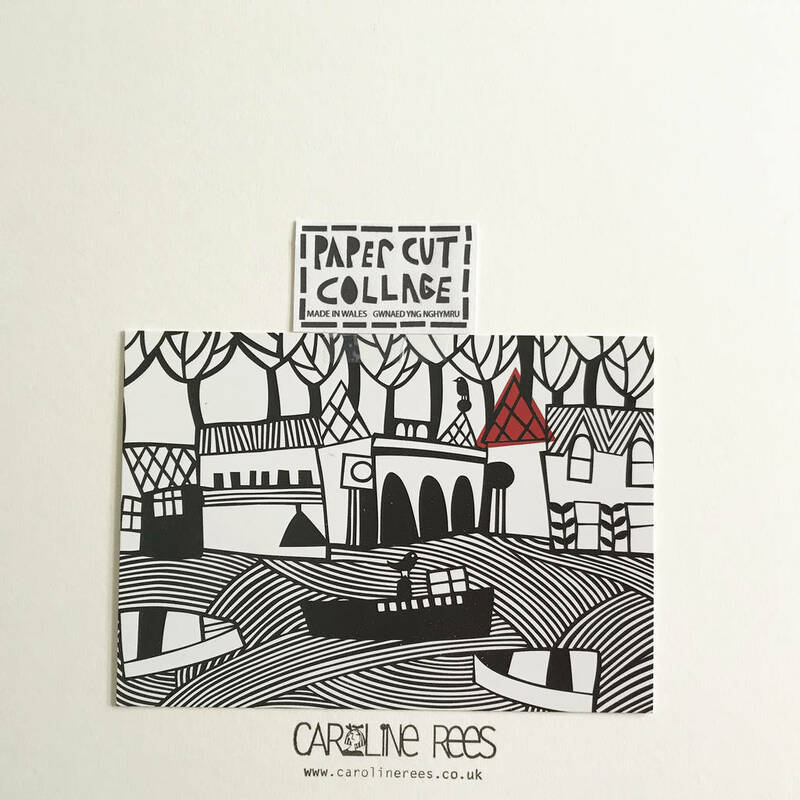 This beautiful papercut is designed by me, Caroline Rees and is made in my studio in Wales. It makes an original gift for a birthday, anniversary or any other occassion. 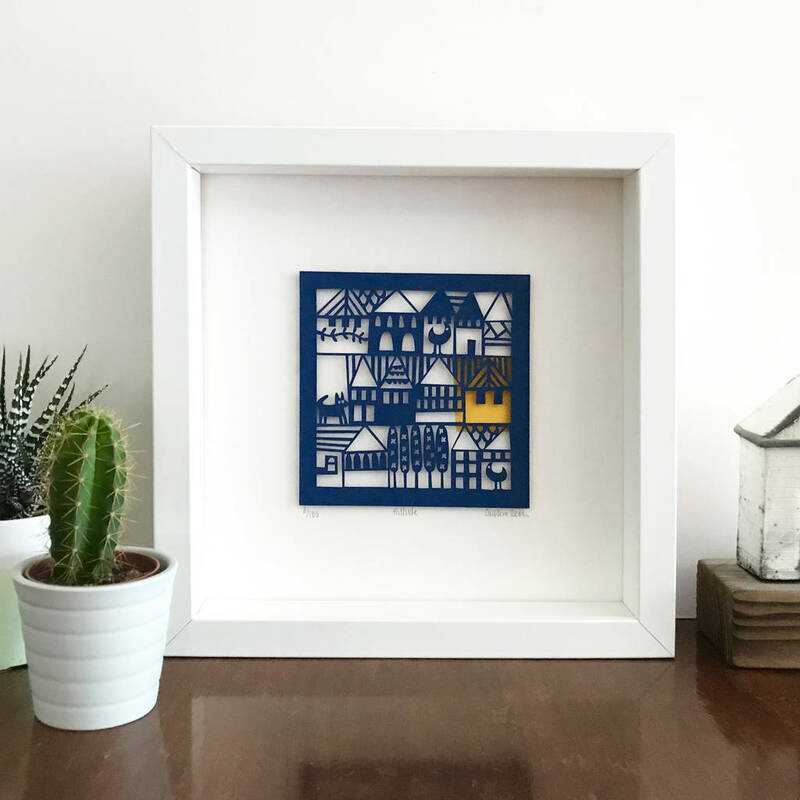 It would also look great on your wall!